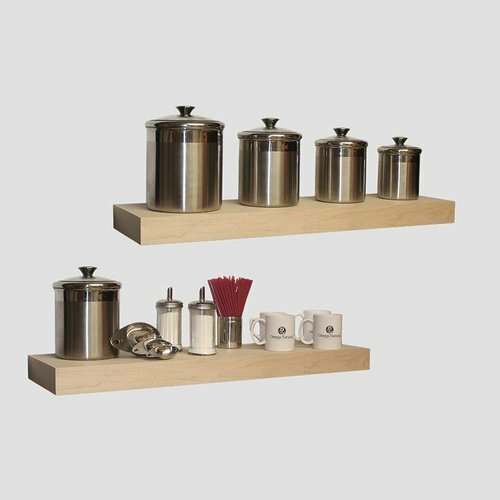 Note : This Floating Shelf and brackets were designed to remain at 10-in deep, but if needed can be trimmed to a minimum depth of 2-in. Both the Floating Shelf and Metal Brackets be trimmed an equal amount. The metal bracket must be trimmed from the narrow end with a hacksaw or another type of metal cutting saw. The width of the shelf cannot be trimmed.The end user assumes all responsibility for any damage to the shelf caused by trimming it. Prior authorization required for return. "These reviews are from our customers who have purchased Omega National Products products." We needed more storage space in our kitchen for cookbooks and decorative items. These shelves are perfect. The shelves were delivered within a few days of ordering with no problems. All brackets and hardware were included. I would definately recommend this company to my family and friends. I intend to order additional items in the near future. The shelves are great, really beautiful. I was surprised from the shelf being hollow but it makes sense weight wise. We finished the shelves with the same stain as our oak floors and they matched perfectly. They have nice presence on the wall, looks really nice. The shelves were fantastic and easy to install! 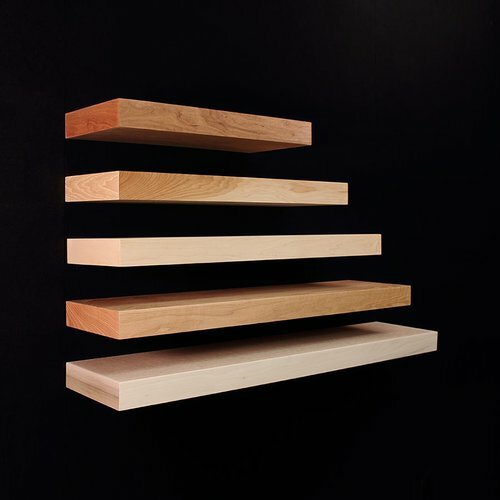 Shelf is well made and the craftsmanship is outstanding but one problem it is hollowed out. I had to go out and buy hardwood strips glue them all together and then glue them in the shelf. Otherwise it is well made. I am very pleased with the 48 inch shelf. Only wish I had order two.